Alexandra Kurland is one of the foremost trainers in positive reinforcement. She is the author of many books and 19 DVDs on this work. Her background is in training horses and classical work but trainers of all species have benefitted hugely from her expertise. Her speciality is balance for the horse and handler/rider. She is on the faculty of many International conferences, WOOF, ClickerExpo, ORCA etc and gives clinics in both the USA and Europe. Places are limited and will be on a first come, first served basis. There are a maximum of 6 horse places and 9 places for non-horse participants. 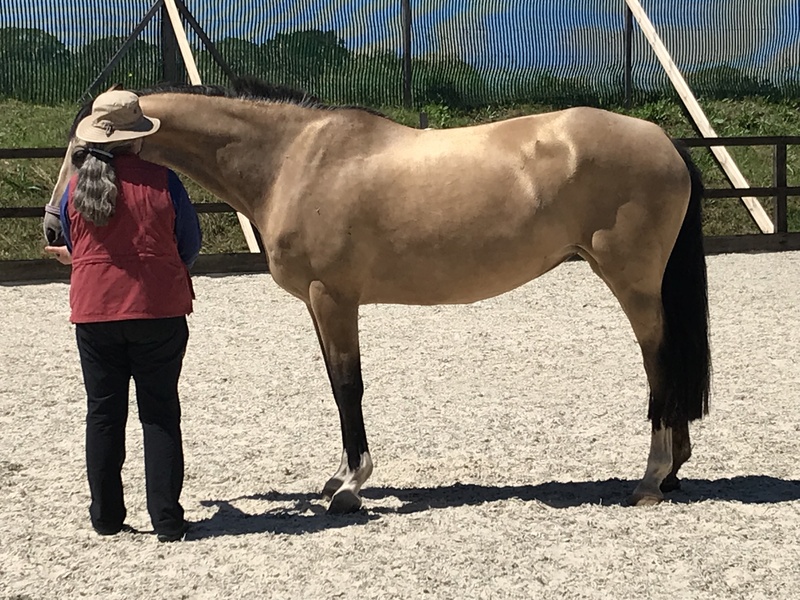 As with all of Alex’s courses, there will be rope-work, balance work, human-horse simulations etc so the non-horse people will be kept active, busy and fully involved too.